Early registration (AND childcare registration) for our 2019 conference ends at 11:59pm THIS THURSDAY, February 28th. If you haven't yet, make sure to get your $15 tickets now before the prices goes up to $20. 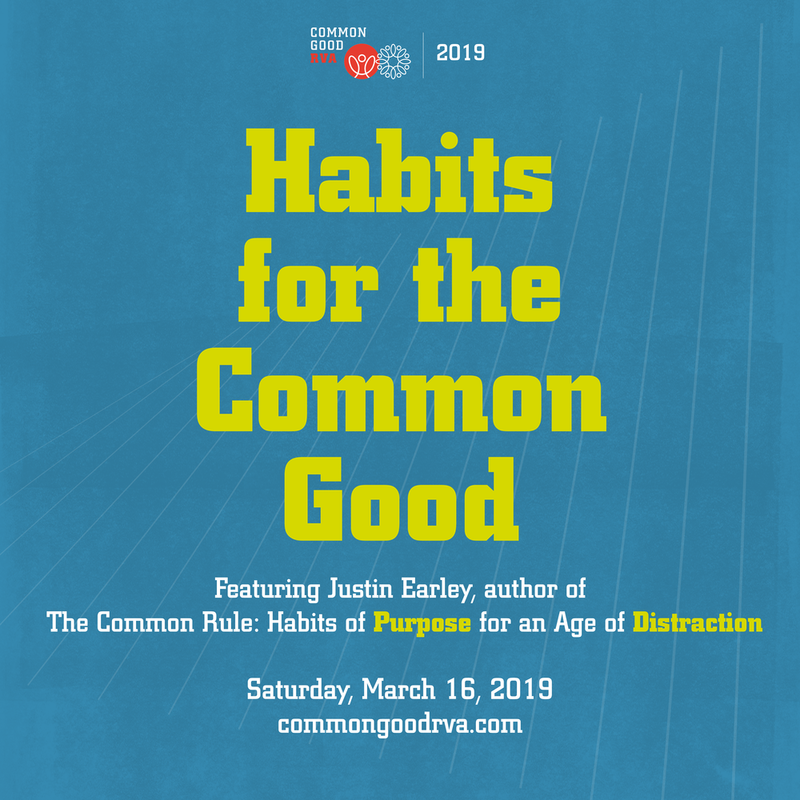 To sweeten the deal, here's what we've got for you: on Monday we'll draw one name from our list of early registrants to win a copy of The Common Rule: Habits of Purpose for an Age of Distraction, written by our 2019 keynote, Justin Earley. Repeat: you have GOT to be in that early registrant pool for a chance to win. 1. How is the structure of modern life in Richmond shaping our habits in positive and negative ways? 2. What habits must change in your life, your work, and our city for the sake of the common good? Alex Brito, Partner at CURE. Our morning will conclude with a Q&A moderated by Becca Payne, freelance writer and communications director at Third Church. Parking will be available on the street and in the lot at Veritas School, located directly across Brook Road from the seminary. Early registration is $15 and runs through 11:59pm on February 28th (that's today! ); regular registration and door tickets are $20. Your conference registration fee includes a $5 voucher to be used for lunch at a local restaurant (TBA) where we’ll have the chance to continue our conversations inspired by the morning’s discussion. Childcare is available for ages 2 and up for $10 per child. Please note: in order to secure childcare, you must register by the early registration deadline.